So many of y’all loved the Everything But the Bagel seasoning post last week, so I decided to share my top 10 favorites favorites that I get at Trader’s. This stuff is so good! There are two big chicken breasts included so it can be two separate meals or one to share! I love using this chicken for tacos, fajitas, or putting on a salad. I seriously love the heat and serve options from TJs. This one is so yummy to me because this is something I would never make! The lemon sauce is delicious and this makes for a super easy, super tasty meal. This juice is so sweet and tasty! Normally I’m a baby about anything labeled “green” because it is too bitter for me. This juice does have a little more sugar than I would normally drink, but it’s a tasty treat that helps get some fruits and veggies in the day. I love pretzels and pretzel thins, so when I saw these at Trader’s I knew I had to try them. The “Everything” flavor are SO GOOD! They are smaller than some other thin pretzels, but I actually like this size better. I can’t wait to try more flavors. This stuff is just simply amazing. If you missed my post last week, check it out here for some of my favorite recipes using this seasoning. I just tried this rice a few weeks ago after passing over it many times in Trader Joe’s. I was definitely missing out! It was not only easy to make, but there was a TON of it. I threw in a few scrambled eggs and some chicken and it was a great meal. These cookies are divine! I will eat pretty much anything if it has cookie butter on it, but these take it to another level. They never last too long in our house, so we can only buy them as a treat. These veggies are a staple in our freezer. They only take 7 minutes to make and they are so good! They pair well with almost any meal and we just love them! I can never leave Trader Joe’s without these! They are the perfect sweet treat that aren’t terrible for you. The sea salt and sugar really make them stand out. If you haven’t tried these: run, don’t walk, to your nearest TJ’s! By far my favorite thing to buy at Trader Joe’s are FLOWERS! They have the prettiest selection and they last forever! I love to have fresh flowers in the house and they always have inexpensive options that I can arrange myself. I recently bought flowers when I had company coming to town and they lasted two and a half weeks after they left! 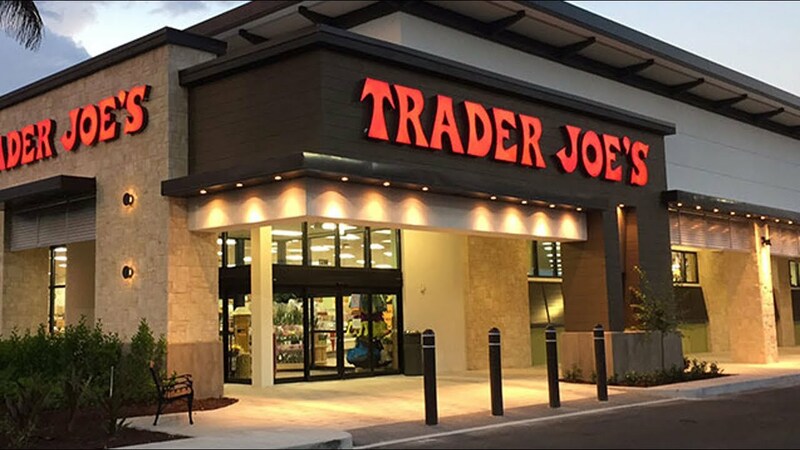 I love trying new things from Trader Joe’s so please share with me some of your favorites! Also let me know if you try one of my suggestions, I’d love to hear what you think!